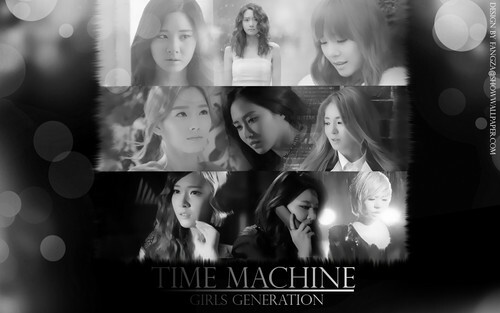 SNSD fondo de pantalla Time Machine. All credits to the names in the wallpaper.. HD Wallpaper and background images in the girls generation/snsd club tagged: snsd 2012 yoona jessica taeyeon seohyun yuri tiffany. All credits to the names in the wallpaper. This girls generation/snsd wallpaper might contain signo, cartel, texto, pizarra, and letrero.